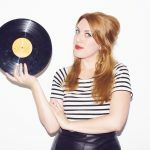 Public Image Ltd., Katy B and Willy Mason are among the acts set to play this year’s Summer Sundae Weekender. Taking place from August 17-19 at De Montford Hall and Gardens in Leicester and will also see sets from tUnE-yArDs, Asian Dub Foundation, Reverend & The Makers and Jonathan Richman. Francois & The Atlas Mountains, Juan Zelada, Lazy Lester, Little George, Dan Mangan, Rachel Sermanni, Cashier No 9, Grace Petrie, Magic Tombolinos and Y NIWL also appear. For full line-up details, visit: Summersundae.com.